To beat the December 1 deadline set for the substitution of governorship candidates by the Independent National Electoral Commission (INEC), the preferred candidate of Governor Ibikunle Amosun of Ogun State for the election, Hon. Adekunle Akinlade, Thursday defected from the ruling All Progressives Congress (APC) to the Allied Peopleâ€™s Movement (APM). As a member of the House of Representatives representing Yewa South/Ipokia Federal Constituency, Akinladeâ€™s defection letter was read on the floor of the House by Speaker Yakubu Dogara during plenary. The party chieftain said: â€œWe are not going to APM. All the executive members of the APC in Ogun State still remain in the party. 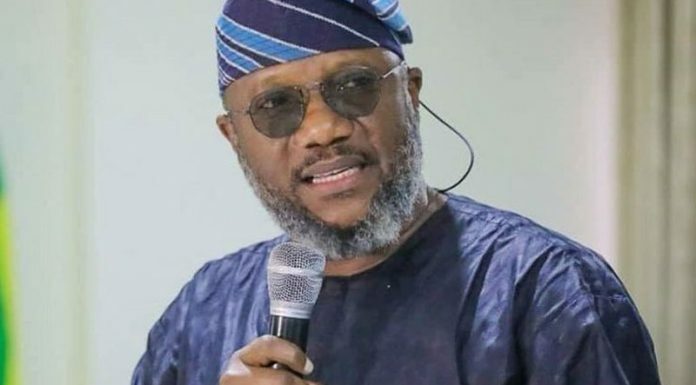 â€œThose who decided to go to the new party (APM) because of injustice meted out to them, not only limited to the governorship candidate (Akinlade), but also all the aggrieved 26 State House of Assembly candidates, that are not happy with the decision of the National Working Committee (NWC), following the imposition of Prince Dapo Abiodun, as the governorship candidate, are free to do so. â€œSo, their defection to the APM canâ€™t and will not shrink the strength of the APC, even preparatory to the upcoming 2019 general elections.